Balzer + Bray, 9780061852831, 32pp. Margaret Cardillo holds degrees from Boston College and the University of Miami. 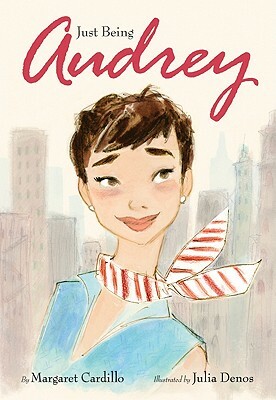 Her first children’s book, Just Being Audrey, a biography of Audrey Hepburn, won the Florida Book Award Gold Medal. Margaret’s writing for the screen won a College Television Award and received several Best of Fest awards. A former children’s book editor, Margaret now teaches screenwriting at the University of Miami, and she lives nearby with her family. You can visit her online at www.margaretcardillo.com. Julia Denos is the author-illustrator of Swatch: The Girl Who Loved Color and the illustrator of several children’s books, including Just Being Audrey by Margaret Cardillo, I Had a Favorite Dress by Boni Ashburn, Dotty by Erica S. Perl, Grandma’s Gloves by Cecil Castellucci, and Letters to Leo by Amy Hest. Julia currently lives in Boston. You can visit her online at www.juliadenos.com.